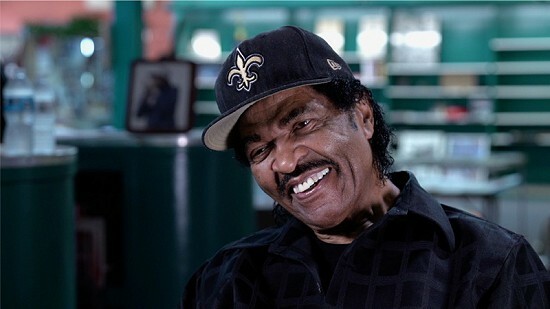 Bobby Rush is the 2017 Traditional Blues Grammy winner for his CD Porcupine Meat, and it only took him fifty-one years in the business and fifty-some record releases to get there. He was born in 1933 and raised in Pine Bluff, Arkansas. As a teenager in Chicago, Illinois, Rush drew a mustache on his face to disguise his age and ran from club to club to fulfill multiple bookings in one night. Rush has performed with virtually every post-war blues legacy artist from Muddy Waters and Howlin’ Wolf to Elmore James and Jimmy Reed. A perennial favorite at the King Biscuit Blues Festival, Rush is treated with messianic adulation by men and women alike. His meticulously produced shows feature hilarious songs about human nature and sexual obsessions honed from decades as the King of the Chitlin' Circuit who has crisscrossed over into the pop mainstream. 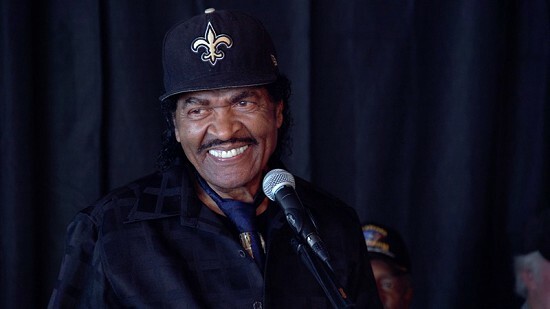 On October 5, 2016, the thirty-first annual King Biscuit Blues Festival in Helena, Arkansas, kicked off with an event honoring Bobby Rush. Bubba Sullivan, owner of Bubba’s Blues Corner, emceed the ceremony at Southbound Pizza on Cherry Street. Speakers included the Chief US District Judge Brian Miller; Jay Hollowell, mayor of Helena-West Helena,; Chris Richey, Arkansas state representative; Munnie Jordan, festival director; and blues artist Reba Russell.